Discovering Some Best Spots to Get Your Scuba Diving – Nova Magazine – Find your new favorite page! Scuba diving has become one of the favorite activities of someone exploring the life underwater. You can grab so many experiences to see the uniqueness of the sea life. Therefore, if you are a real sea explorer, you need to know some Best Spots to get your Scuba Diving. It will be very much recommended since the places will be various. You can see some best spots to know from some great countries. You may also choose which one is more challenging or more attracting your attention. In these following points, you might get the answer of the spots to get your Scuba Diving. You may also see what the characteristics of each spot to visit become. In Byron Bay, New South Wales, Australia, you might see the beautiful sea world about 2.5 km offshore. It is Julian Rocks that becomes your dive site. 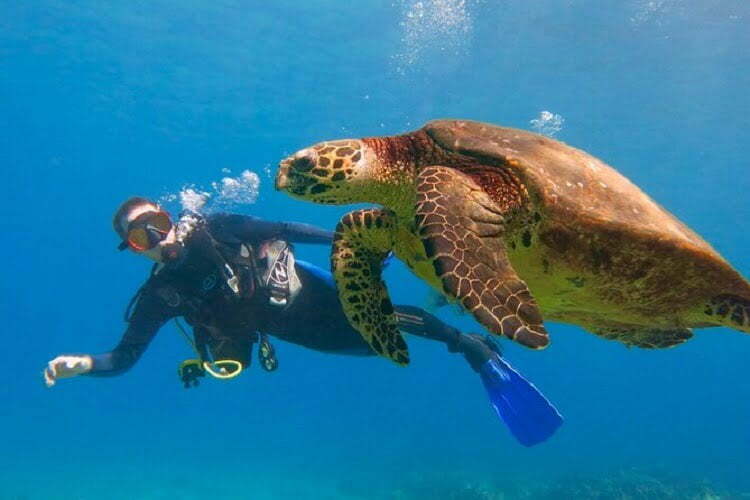 You will see many turtles, wobbegong sharks and more than 100 species of fish. It is perfect site to visit since the place is mixture of tropical and cooler water. The next Best Spots to get your Scuba Diving in the world that you might to see is in Egypt. It is exactly located in Dahab, Red Sea. You will see a unique habitat with stunning corals and a blue hole. If you are a beginner in doing diving over the sea, this place will match you as it is your ideal place to explore. Actually, you can come to visit whenever you want. But, many visitors try to avoid the high heat so that they may come on May to September only. Coming to South East Asia, you may see Gili Trawangan in Indonesia. Some people might say is as aquatic Babylon that provides you clear water with warm touch. On the other hand, more than 3500 species of fish lives there. You will find some turtles, reef sharks, and many other colorful corals waiting for you. You might also enjoy the snorkeling if you want too. As it is raining sometimes in Indonesia, the visitor will come around the time they want but not from November to April. It is easy to find the place since it is near Lombok Island. Port Vila will be a perfect choice to dive. If you are a wannabe diver, this place suits your needs. Many beautiful corals will greet you to explore more. This site will be easily found in Vanuatu and you can do diving in its clear water mostly on April to October. So, after finding some best spots to dive, you can just choose one of them to be your destination. If you are really starving of experience, why don’t you come to some places in several months? It will be very much worth to visit since you also get the recommended time to visit for the best explore. Some Best Spots to get your Scuba Diving above will bring to the most valuable moments as you can see more about the life underwater.